Abu Bakr Rieger was born in Freiburg im Breisgau and lives today with his wife, family and community in Stralsund. He has been a Muslim since 1990 and a practising lawyer since 1995. He studied at the University of Freiburg and the Free State of Thuringia. He is the founder and editor of the respected and widely circulated German language Islamic newspaper Islamische Zeitung, and founder and editor also of the English language publications Globalia. He is also president of the Muslim Lawyers Association and the European Muslim Union (EMU). His meetings with such figures as Ernst Jünger, Jaques Verges, Jean-Christophe Rufin, whose fascinating book Globalia was the inspiration for the publications of the same name, and many leading intellects of our time including Muslim and non-Muslim leaders such as Tayib Erdogan, the Prime Minister of Turkey, and Dr. Mohammed Mahathir have helped him bridge the gap between West and East that has proved so destabilising in recent years. Shaykh Abdalhaqq accepted Islam in 1968 and spent some years in Morocco studying Islam. Since that time he has worked with Shaykh Dr Abdalqadir as-Sufi on the establishment of Islam and Muslim communities, which has led to periods living and teaching in Nigeria, the US, Czechoslovakia, Germany, Spain, the Caribbean and the UK. He is the author of Islam, its basic practices and beliefs, Zakat: raising a fallen pillar and a number of other works. In collaboration with his wife, the renowned translator Aisha Bewley, he has been responsible for The Noble Qur'an: a new rendering of its meanings in English, Al-Muwatta of Imam Malik and Muhammad, the Messenger of Allah (ash-Shifa) of Qadi Iyad. Uthman Ibrahim-Morrison was born to Jamaican parents in London and studied law as an undergraduate at UCL before going on to pursue postgraduate studies in applied linguistics at the University of Kent at Canterbury. He became Muslim in 1987 and had a leading hand in the establishment of the Brixton Mosque in South London in 1990. 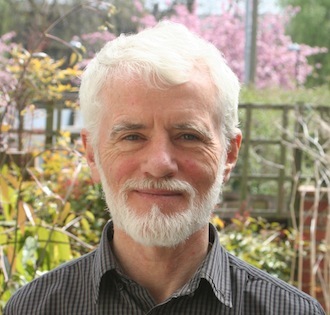 He became founder Chairman of the Blackstone Foundation educational trust in 1993 and presently lives in the city of Norwich as a prominent member of the well known Ihsan Mosque community, where he has been occupied with specialist teaching, writing and publishing since 1995. In his dual capacity as Chairman and Director of Education of the Blackstone Foundation he has played a key role in the development of innovative scholastic initiatives including the Norwich Academy for Muslims, the Wazania Academy for Girls, New Muslim Initiatives and most recently, the Muslim Faculty of Advanced Studies. He is a visiting lecturer at the Dallas College in Cape Town and has regularly presented papers on Muslim schooling at educational conferences and colloquiums. 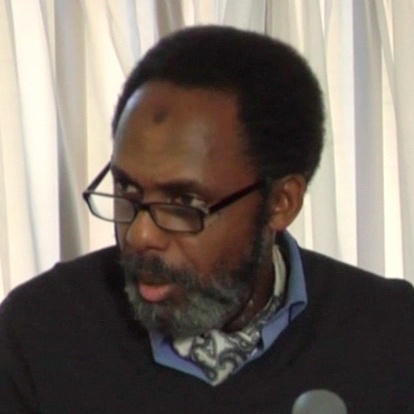 He has also written extensively on the impact of Islam on the modern politics of African identity: Trade First (1996) and The Forbidden Dialogues (1997). Abdassamad Clarke is from Ulster and was formally educated in Edinburgh in mathematics and physics. He accepted Islam at the hands of Shaykh Dr. Abdalqadir as-Sufi in 1973 and later studied Arabic, tajwid and other Islamic sciences in Cairo. In the 1980s he was secretary to the Imam of the Dublin Islamic Society, leaving there to become Imam Khatib of the Ihsan Mosque in Norwich. 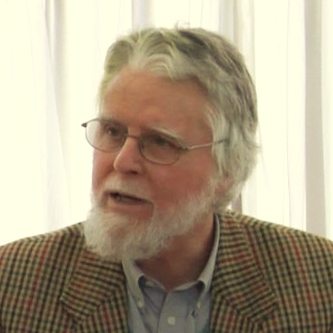 Since 1993, he has worked professionally in publishing, particularly in translation and editing of works on Islam, and has a number of translations of classical Arabic works, including the Kitab al-Athar of Imam Abu Hanifah, The Complete Forty Hadith of Imam an-Nawawi and The Madinan View (Kitab al-Jami') by Ibn Abi Zayd al-Qayrawani, and The Compendium of Knowledge and Wisdom by Ibn Rajab. He is the editor, and co-author with Abdurrahman I. Doi, of the revised edition of Shariah: The Islamic Law, and author of Follow the Money – A Muslim's Guide to the Murky World of Finance and New Tales For Old a set of short stories. For MFAS he develops the modules with Director of Studies Dr. T. S. Andersson, and has led the modules on The History of the Khalifas, Technique and Science, and the Question Concerning Economics in particular. He is currently imam and teacher at the Ihsan Mosque, Norwich, UK. Tobias Sahl Andersson was born in Växjö, Sweden. He received his PhD in Islamic history at the University of Edinburgh for research concerning early Islamic historical writing, focusing on the Tārīkh (‘Chronicle’) of the Basran historian and ḥadīth scholar Khalīfa b. Khayyāṭ (d. 240/854). 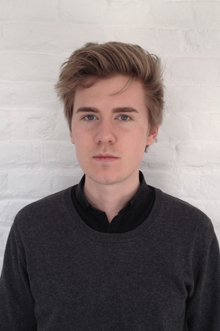 Besides that, he works with various translations of classical Arabic works into English and Swedish.